Roasted red peppers impart a strong, savory flavor to appetizers and main dishes. 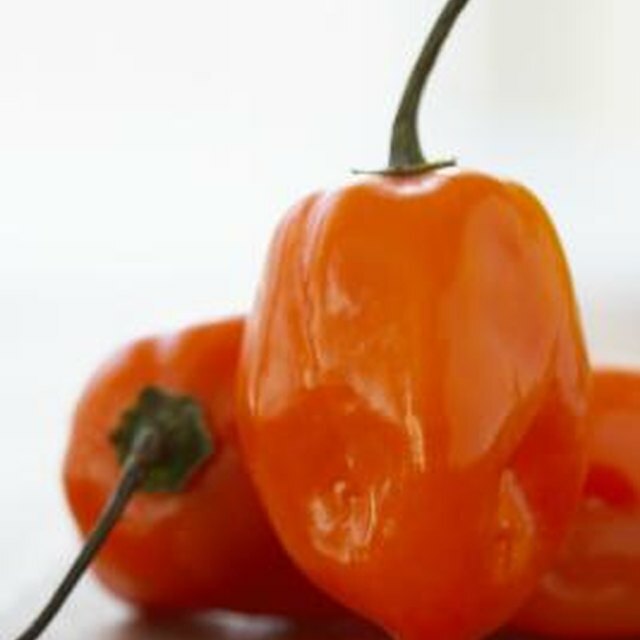 2 Can I Eat the Seeds of a Habanero Pepper? Roasted red peppers add a savory, meaty flavor to sandwiches, as well as sweetness to dips and other recipes. The calories in roasted red peppers may contribute toward your nutritional goals as well as your daily energy requirements. A half cup serving of roasted red peppers contains between 30 and 50 calories, according to LIVESTRONG's food database MyPlate. This accounts for less than one percent of the calories you should consume daily if you are following a 2,000-calorie diet. Roasted red peppers are often served with or on different foods, so you will need to adjust the total calories accordingly. Many of the calories in roasted red peppers come from carbohydrates. A half cup serving provides five to 10 grams of carbohydrates. Roasted red peppers also provide one gram of dietary fiber and one gram of protein. The natural sugar content in roasted red peppers ranges from two to four grams in half a cup. Making roasted red peppers at home is a quick process. The Food Network recommends thoroughly washing the peppers before holding them over a heat source with tongs — a grill or gas range works best. Turn the pepper until the skin is evenly blistered and blackened on all sides. Place the peppers in a bowl and cover with a plate or plastic wrap to allow steam to further loosen the skin from the pepper flesh. Peppers are then ready to be peeled and seeded.